The Bistro at Franklin Commons is a great place to meet for breakfast, lunch, a light dinner, or an afternoon snack. 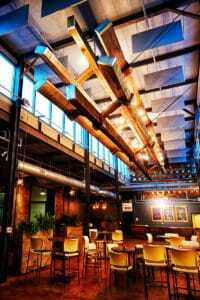 Exposed brick, rustic and accent lighting, sofas, and comfortable easy chairs make for a relaxing atmosphere. 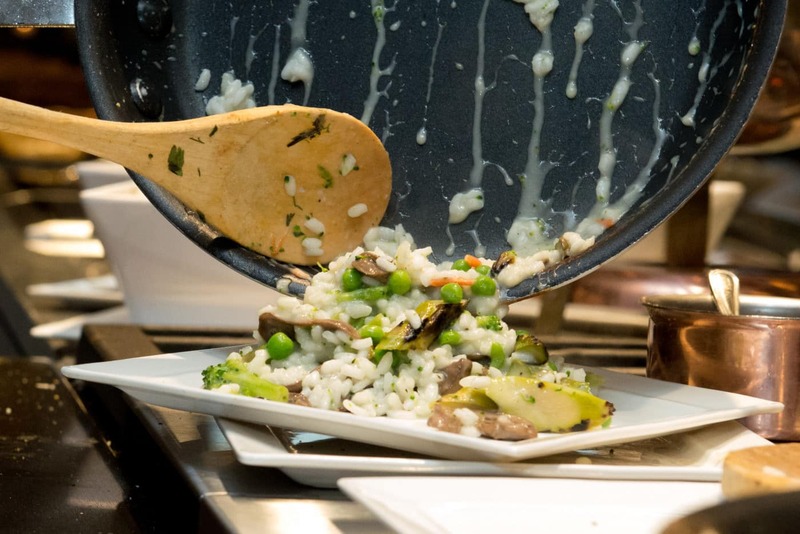 The Bistro offers soups made from scratch, delicious burgers, wonderful wraps, and an ever-changing “Daily Additions” menu featuring seasonal foods. Complimentary Wireless Internet is available to surf the Web, check your email, or post to your favorite social media site. The Bistro is perfect for meetings, cocktail parties, fundraisers, showers, rehearsal dinners, and many other social and business events. Check out a sample of our delicious menu options here. The Bistro is also available for larger events combined with Franklin Hall. A retractable wall allows for comfortable seating for up to 1,000 guests. We host many area proms, mitzvahs, large fundraising events, and seminars with trade shows. Franklin Hall, the Art Gallery and Bistro are smoke-free and ADA compliant.